Shopaholic site - shopping, outfits, fashion, beauty, traveling and lifestyle blog: Not fair! Still 1 (ONE!) month till the launch of Matthew Williamson collection for H&M! How am i suppose to wait patiently till then? I like everything! 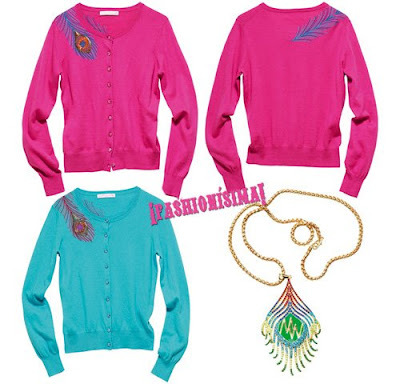 But i especially love the blue & pink cardigans... to die for!